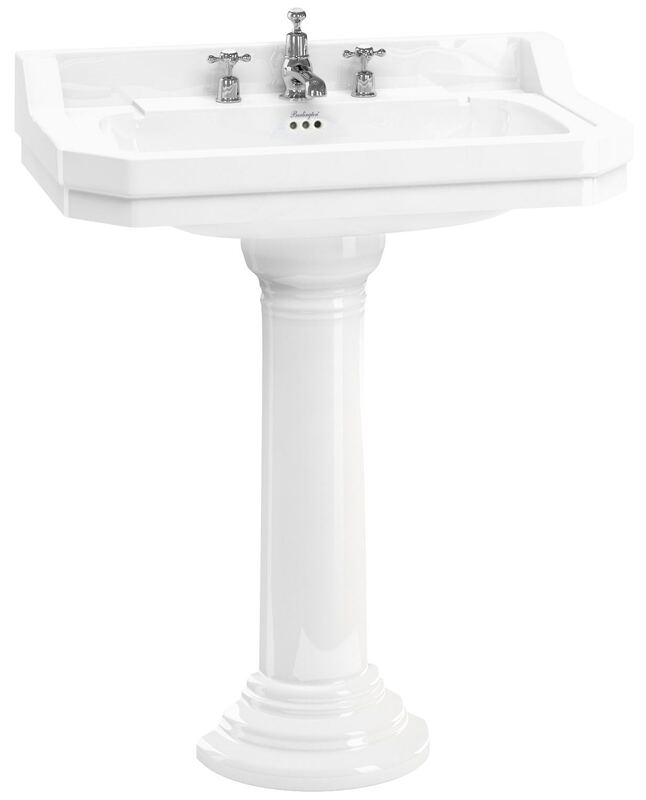 The Burlington Edwardian Basin has a traditional design that harks back to the Edwardian era and exudes style and luxury of that period. 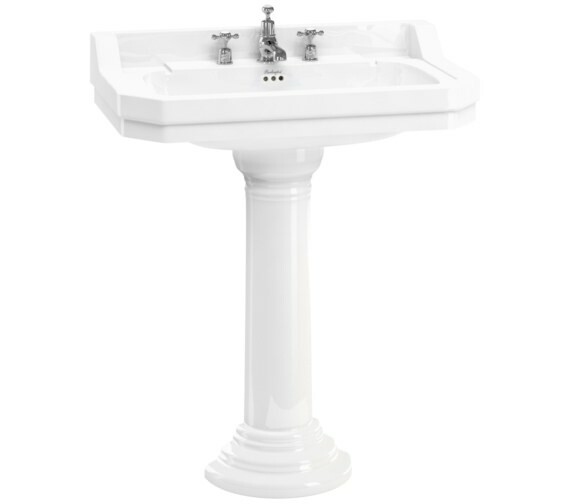 It is a fantastic example of exquisite craftsmanship with attention to detail. 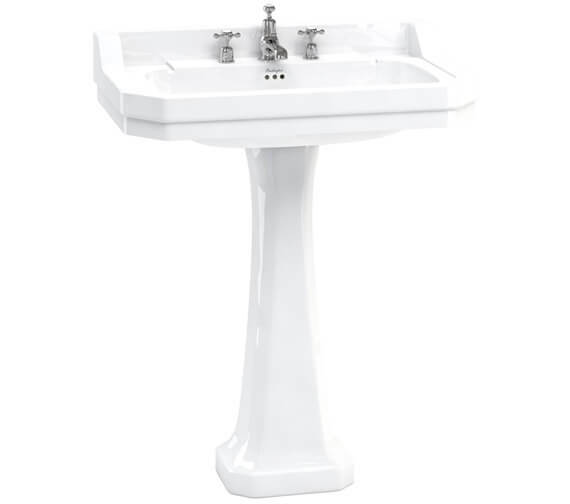 It is fashioned from Vitreous China which gives it durability and longevity. 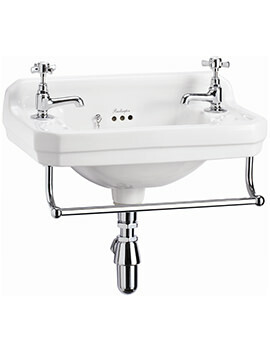 The classic white finish helps it to project a clean and hygienic appearance. 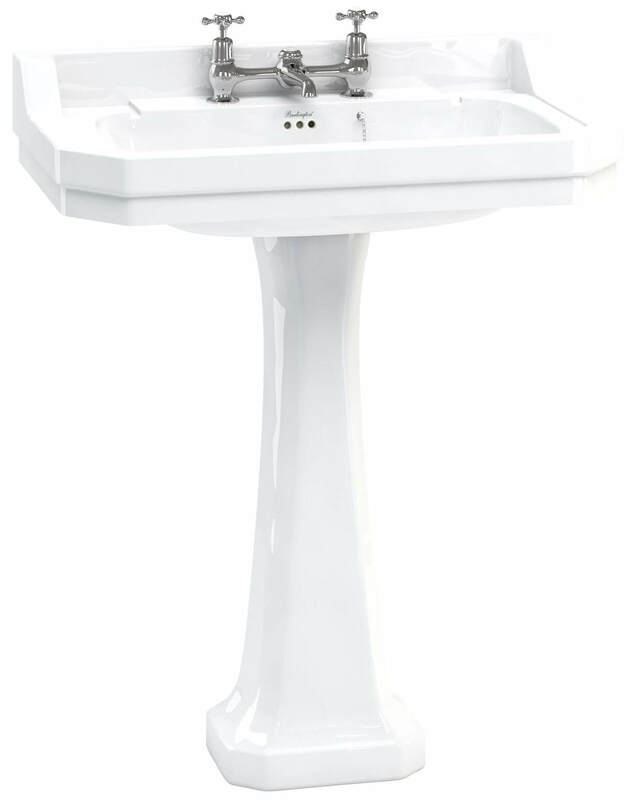 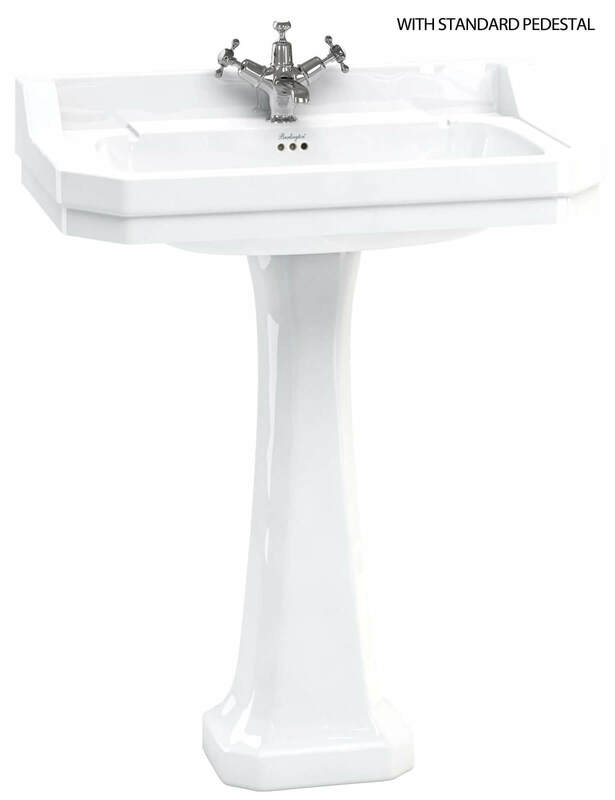 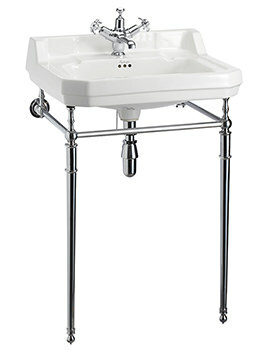 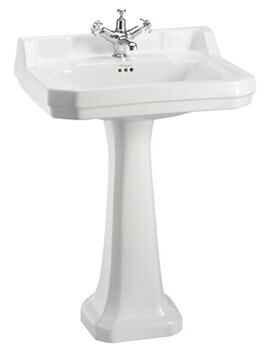 It comes with one tap hole, allowing you to choose the tap or mixer that will suit your décor. 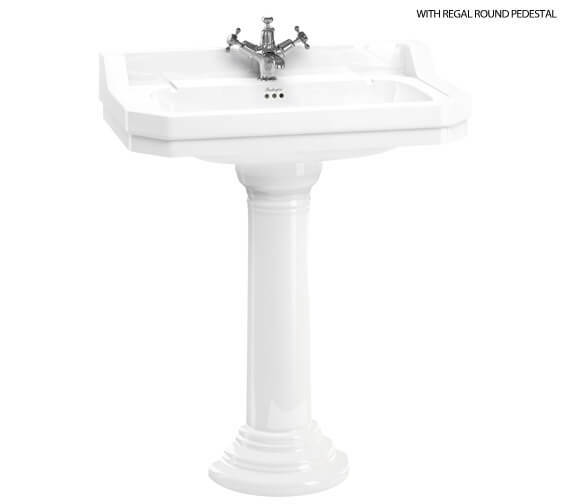 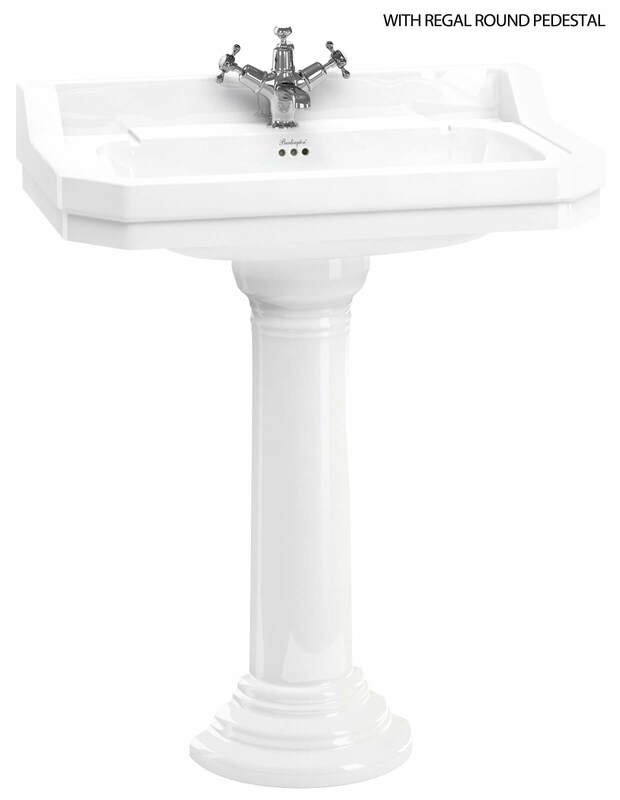 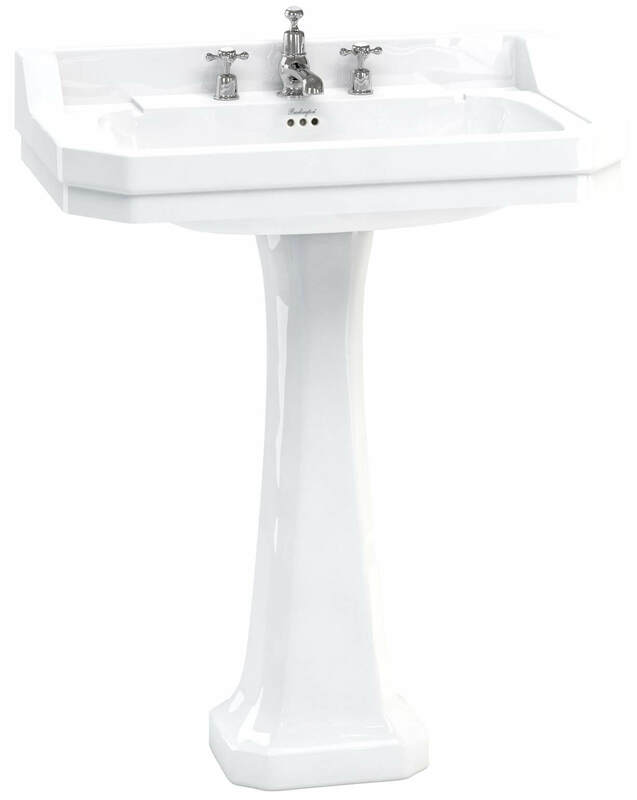 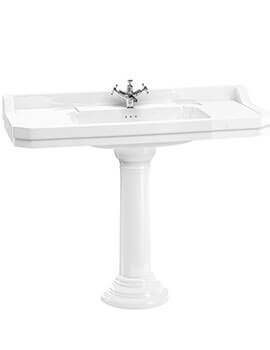 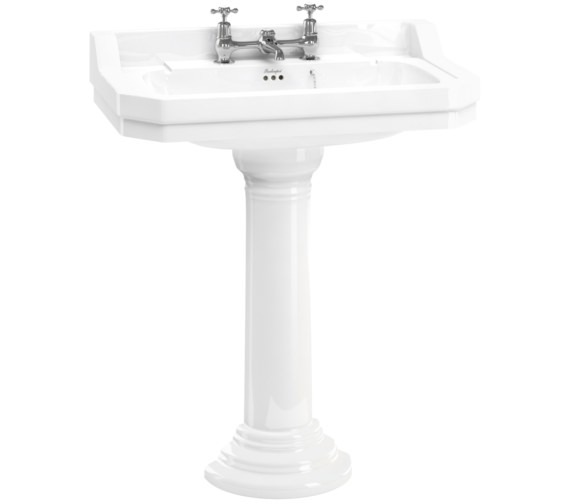 It is supplied with either Classic pedestal or Regal Round pedestal to give it a cohesive and harmonious look and to obscure unsightly plumbing works. Please note that when ordering the basin in a 2 Tap Hole option it will be supplied with a small chain stay hole for the plug and chain. 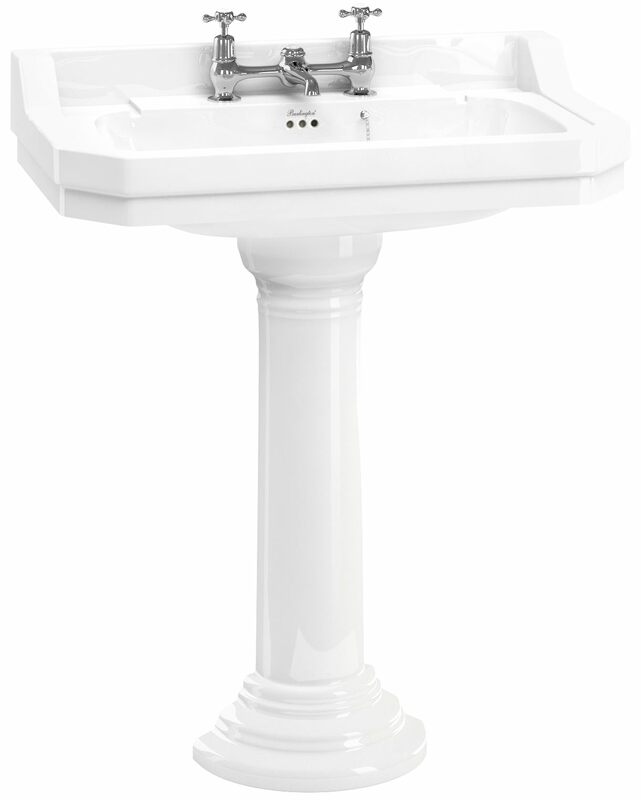 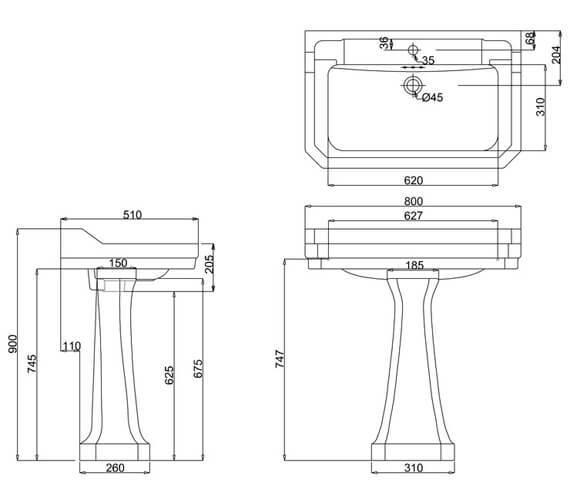 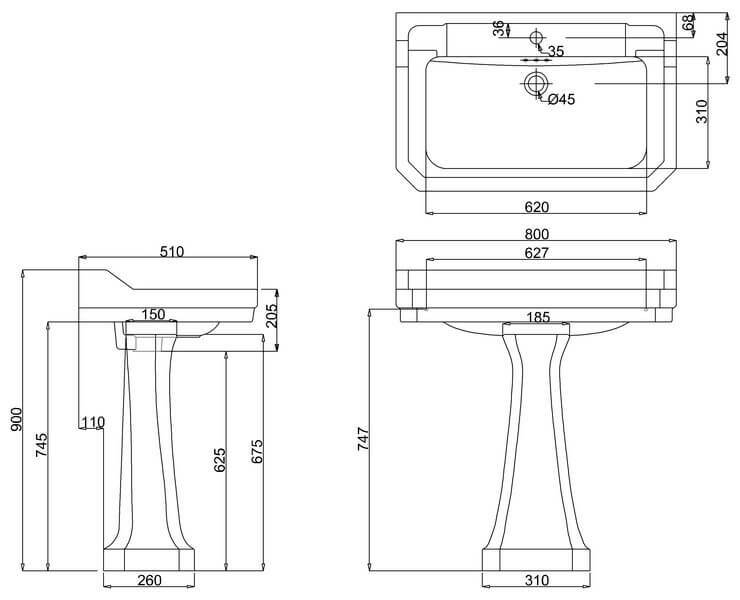 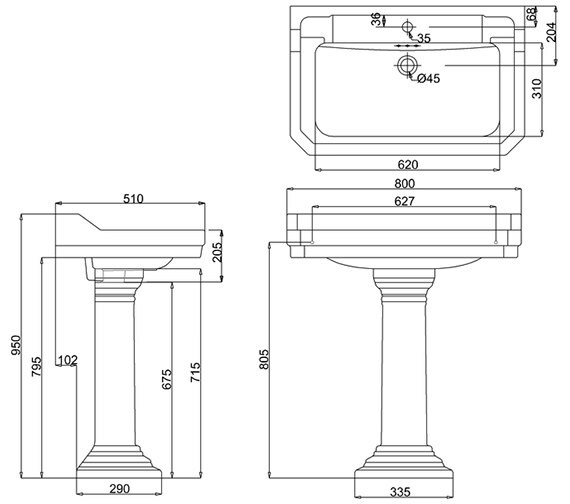 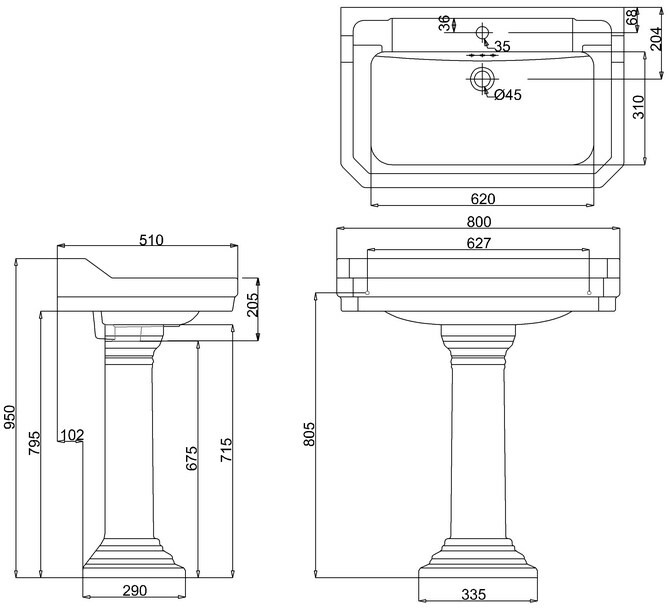 Strong and durable pedestal. 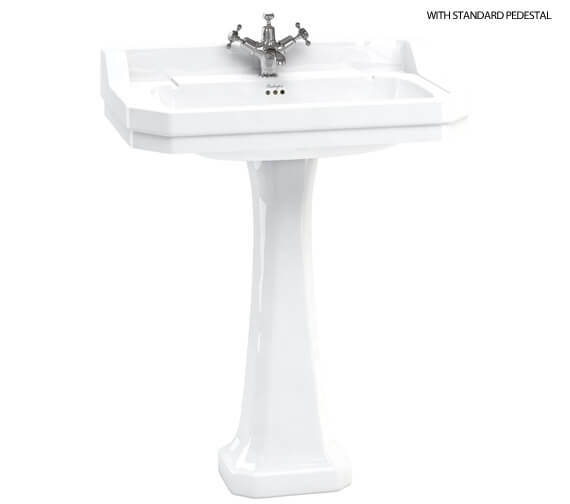 Please note: image is not available for preview.